Dentons - How do courts deal with shareholder disputes and why are early independent valuations so important? How do courts deal with shareholder disputes and why are early independent valuations so important? Disputes between shareholders can be costly and disruptive to a business, making it desirable for any such disputes to be resolved as quickly and efficiently as possible. The Supreme Court of Victoria has recently extended its pilot program which provides an innovative way for many shareholder disputes to be managed in that State, and also gives would-be litigants in other jurisdictions a helpful framework for alternative dispute resolution that can be followed if all parties agree. In addition to outlining the Victorian Supreme Court’s approach and why it is beneficial, we explain the importance of obtaining early independent valuations to help resolve disputes in a commercial and cost-effective way. When shareholders in a company fall out, they sometimes allege that the company’s affairs have been managed in an unfair or oppressive way. Parties to a joint venture gone sour, warring directors, or families mired in disputes over the direction, management, succession and future control of a business are the typical parties to a shareholder dispute, commonly known as an ‘oppression proceeding’. Where disputes arise, shareholders can seek relief from the courts under sections 232 and 233 of the Corporations Act 2001 (Cth) (Corporations Act). These provisions entitle the courts to intervene in certain circumstances, but it is important to keep in mind that simply being unhappy with the way the company is managed is not enough to attract the court’s attention. The conduct being complained about must be either against the interests of all shareholders (which may be the same thing as the interests of the company), or else oppressive, prejudicial, or unfairly discriminatory towards a shareholder or a group of shareholders. withholding information about the company from some shareholders. take charge of the company’s affairs. For that reason oppression proceedings are very serious matters. Having recently been extended, the current program will continue to run in the Supreme Court of Victoria until (at least) April 2018. For parties based outside of Victoria, the framework provided by the Court’s pilot program can be used as an alternative dispute resolution method to resolve shareholder disputes where all the parties agree. What does the Victorian pilot program involve? oordering access and inspection of the books and records of the company by the party that does not have access (eg a minority shareholder). 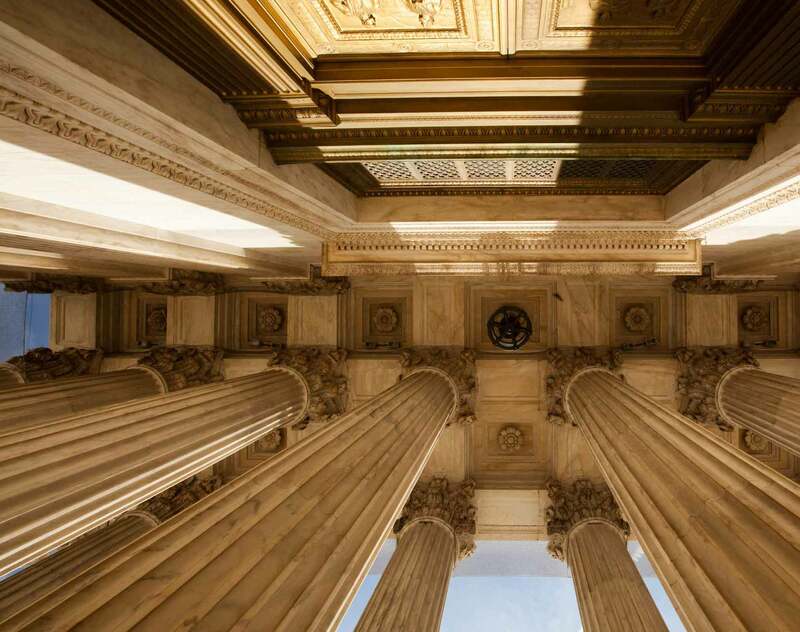 Normally, at the first directions hearing, the Court will attempt to maintain the status quo between the parties until the preliminary steps are taken and the parties attempt to mediate. A problem can emerge if the applicant fails to explain its claim in sufficient detail and all the issues in dispute are not sufficiently ventilated before the mediation. Should this occur, the defendant could request an order seeking further details. Matters under the pilot program are normally mediated by either an Associate Judge or a Judicial Registrar but a private mediator can also be used. Should the matter fail to settle, it will be referred to a Judge for further directions and the parties can undertake the more detailed and expensive steps leading to a contested hearing. The pilot program provides parties with the ability to resolve their shareholder disputes more quickly and efficiently than a traditional court process. The program also reduces legal costs and management time that may be lost in dealing with the dispute. The imposition of a three-page limit on affidavits is just one very practical example of the way the pilot program helps to simplify and streamline matters. This contrasts starkly with traditional proceedings where affidavits can be lengthy, and often attach multiple exhibits including a detailed history of correspondence between the parties which can take time to trawl through. Not all shareholder disputes will be suitable for management by the Court under the pilot program. Publicly listed companies and matters involving complex trust structures are singled out by the Court as unlikely to be suitable for the program. Most oppression cases are, in effect, valuation cases involving disputes about how, and for what price, one shareholder (normally the minority shareholder) can exit the business. Obtaining an independent valuation or valuations, and doing so early, allows the parties to fully understand the commercial issues and what they are truly fighting for. Quite often, minority shareholders believe their shareholding to be worth far more than a valuation reveals, particularly in a closely held company subject to many shareholder restrictions. An independent valuation can shed the harsh light of reality upon parties with uncommercial expectations both in terms of the majority and the minority. While each proceeding is determined on its merits, some judges have shown a preference for parties obtaining one joint valuation. The advantages of this approach are cost saving, possibly time saving and the benefit of having a jointly appointed independent expert providing a view on the value of a business. However, the process of engaging a joint valuer also has its critics. It can sometimes be difficult for one joint valuer to ensure the valuation properly responds to the competing perspectives of the parties in a dispute. It can also be a challenge for a single valuer to get the full picture from both sides, and there is sometimes a lack of willingness for a party to engage with a joint valuer as openly they might engage with their 'own' valuer. Having two experts can address these concerns and also fully tease out the contrasting perspectives of value, like the tension between a buyer and seller. And, in large disputes when faced by a joint expert, each party often engages its own 'consulting expert' in order to assist with instructing the joint valuer and reviewing their report. In these circumstances, there are effectively three experts engaged in the matter, thereby eliminating any costs savings that might theoretically flow from having one jointly appointed valuer. Untangling the competing claims of shareholders can be complex and expensive both in terms of legal costs and lost management time. The Victorian Supreme Court pilot program provides an effective method to resolve disputes in a more efficient and cost effective manner. The extension of the pilot program into 2018 is a positive development both for parties based in Victoria, and for those based elsewhere who may continue to follow the approach as an alternative to more intensive and costly court proceedings. The other clear key to ensuring shareholder disputes are managed as effectively as possible is to give proper consideration to independent valuations, and to do so early on. Whether this involves a single valuation from a jointly appointed valuer, or two valuations from separate valuers appointed by each party, the process of shining a spotlight on what the parties are actually fighting for can help streamline arguments and reduce the overall time and cost invested in resolving a dispute.